Fill out the form or contact 1-800-450-5319 to get a FREE quote and have your vehicle transported to Afghanistan through A1 Overseas International! 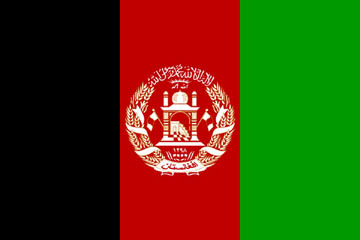 Having a vehicle imported to Afghanistan isn’t as complicated when you go through A1 Overseas International. While adhering to the regulations of Customs and the restrictions set by the international auto shipping company can be time consuming, they are rather simple to fulfill. The most difficult part is getting everything required done in time for the scheduled transport. Contact the vehicle shipping company to schedule a exporting date, and call Customs a few months in advance. It is important that you stay organized during the preparation process. This means staying on top of everything, including the gathering of all documents, prepping the car, paying all duties, and completing all requirements in time for transport. Creating a checklist is always a smart way to make sure all is tended to before the date the vehicle is scheduled to head towards Afghanistan aboard a ship. Transporting a vehicle overseas is a very delicate process that must be cared for responsibly by professionals. There are three methods of shipping that experts usually offer customers due to their security. One of the three transport methods is less likely to be used due to its high costs. RO/RO shipping is the most favorable option for many international transport customers. This method is also the cheapest. It requires the vehicle to roll on and off of the ship. The vehicle will be secured to the flat surface of the ship, exposed to the weather and ocean. Nevertheless, insurance provided by the shipping company will protect the automobile. Container transport is an efficient shipping method. This also allows for other possessions to be transported. However, importing goods into Afghanistan along with your vehicle is typically impermissible due to theft concerns with the ports. Contact 1-800-450-5319 or fill out the form for a FREE price quote and more details on international boat, motorcycle, car shipping!